RReport will add printing and reporting capabilities to your .NET application. 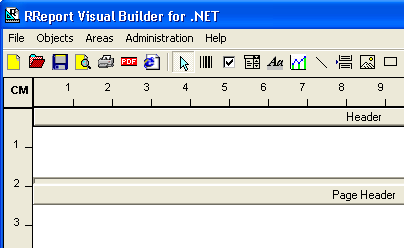 RReport can be used with C# ,VBNET or any other .NET language. Reports templates are created using RReport Visual Builder. They are stored as files with extension .rep. The templates are read at runtime and the data for the report is extracted from database , arrays or provided by your program. Finally the report can be printed, or exported to DHTML or PDF. You get RReport at very reasonable fees. The price includes license, documentation, examples, source code, and 6 months updates and fast email Support. If you create your reports with RReport Visual Builder you don't have to learn complicated API's. You can use the software together with your application in any way you like. You can merge it , you can combine it, link it .... compare it with open source licenses. It is available and can be modified without restriction. We only ask you not to give the source code away. 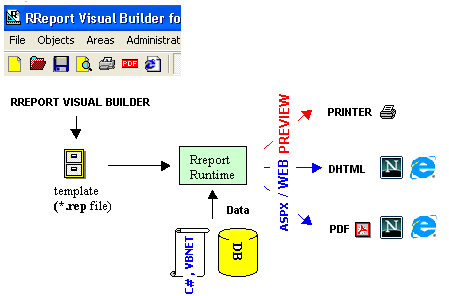 - database (ODBC, Ole ...): RReport will connect to your database and retrieve the data to be printed. It will also take into account your table relationships (primary and foreign keys). - arrays: you can provide an array of objects as data source for a part of the report. - programatically: you can set the value of each single object in the report also using the API from your Java[TM] program. - user defined data sources: You can create your own objects that implement the RSource interface in order to provide the data. (*) Charting and barcoding components require a separate license of RChart and RBarcode. The Visual Builder is the tool the developer uses for creating the reports templates (*.rep files) which will be loaded in the final application. It is a graphical tool which allows an easy design of the templates by means of dragging and dropping objects and editting properties. The reports can be tested by just pressing the preview or the PDF/DHTML button. would change the color of the text field called "company" in the detail area of the report. 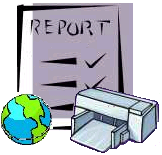 RReport can be used in your windows applications in order to be able to preview and print reports. The software supports 2 preview windows, one of them is the Window's preview window and the other one is a propietary window you can modify so that it fits the UI of your application. If you are building a web application and you need to print a report, we advise you to use RReport in order to create DHTML or PDF reports in the server. This report will be displayed by the browser in the client computer and printed using the browser's print button. RReport can be used to create the DHTML or PDF output in an aspx page. Download version 1.0 (note: the evaluation version displays a reminder message and prints a maximum of 60 repetitions of the areas). RReport & Visual Builder for .NET with source code single license. Includes the source code (c-sharp)of the runtime assembly (not the visual builder). These are all classes in located in the J4L.RReport namescape. Additional (1 developer) license of RReport Visual Builder. This allows all developers in your organisation to use RReport Visual Builder. Source code of the Visual Builder.